In the Making Bacon at Home series, we interview stay-at-home moms and dads who make money on the side to find out how they make work, well, work. And we’d love to hear from you. If you fit the bill, please please please fill out this form here, and we’ll be in touch! 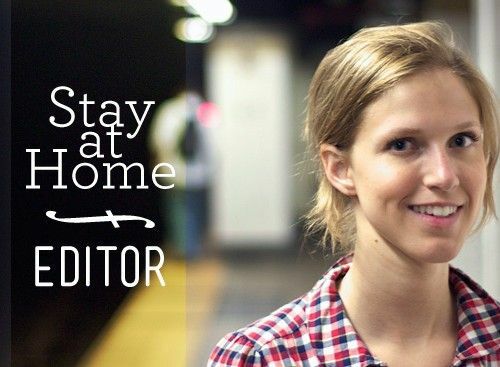 How did you get started with your stay-at-home job? I kinda fell into this job. I love to play the piano, and when my oldest was 5, she wanted me to teach her to play. After a year or two of teaching her piano lessons, other parents saw her play and asked if I could teach their children. Now, a few years later, I have several students of varying ages and abilities. 6:00 – 10:30 — I wake up, have a quick snack, exercise, shower, and get dressed (Meanwhile, Amazing Husband gets the kids started on their day. He changes the baby’s diaper and gets the older two revved up for school and to the kitchen for breakfast.). Next, I feed the kids and get the school-goers and husband out the door. I then fix my hair/makeup, make the beds, do chores, and dress the baby for the day. The baby goes down for nap, I get the kitchen cleaned from breakfast, and look at what’s for dinner. I also do laundry, straighten the house, and make phone calls. If I’m really lucky, I might read for a few minutes in peace. 10:30 – 2:30 — I have quality time with baby boy: get him a snack, read him a book, play with him and try to keep him out of trouble. Then we leave to pick up my five-year-old girl from half-day kindergarten. When we get back, I feed them lunch and start on dinner, if need be. At 12:30 I corral Baby Boy while helping my kindergartner with homework. At 1:30 I put Baby Boy down for a second nap. Then the kindergartner and I have quality time. I usually read with her and get her settled before my first piano lesson at 2:30. I also make final dinner preparations. 2:30 – 5:30 — Teach piano lessons every half-hour (a neighborhood girl arrives to tend Baby Boy and five-year-old during the lessons). Also, my oldest child arrives home via carpool around 3:30 and can usually govern herself at starting on homework and getting an after-school snack. 5:30 – 10:30 — I finish dinner and Amazing Husband arrives home from work. We all eat and spend time together as a family. Some nights we take the girls to tumbling class or volleyball or soccer. At 7:30 the baby goes to bed, and (fingers crossed) the older kids go to bed within the hour. I then catch up with Amazing Husband, clean up dinner, and regroup for the next day (if I’m lucky, we catch a DVR’d Modern Family or Suburgatory). And, ideally, I’m in bed at 10:30. What’s the hardest part of your job? Being busy when my oldest child walks in the door after school. Also, it’s hard to be working at home where I can see things that I’d like to get done, but can’t do because I’m teaching piano at the time. I have to be completely engaged when I’m teaching, which can be really hard when I’m in my home and my kids are there. What’s the best part? Do I have to choose just one? Seeing my daughter and other piano students perform at our recitals. Nothing beats seeing these kids succeed and knowing I had a part in it. Knowing that I am contributing measurable assets to our family and our children. Teaching piano contributes monetarily, and it also provides an environment for my children to learn to respect the abilities of their mom outside of being a mother and homemaker. Also, some of my students take lessons on trade, so I get a couple of hours a week of babysitting and regular hairstyles in exchange for teaching piano. Trading so often gives both parties a better value. What do you do to stay sane on an especially difficult day? I try to keep a cold can of Cherry Coke Zero ready in the fridge for tough days and I save them for emergencies. If that’s not enough, we get dinner out. What advice would you give to someone who wants to make money while being a stay-at-home parent? Make sure it is the right thing for you and your family. 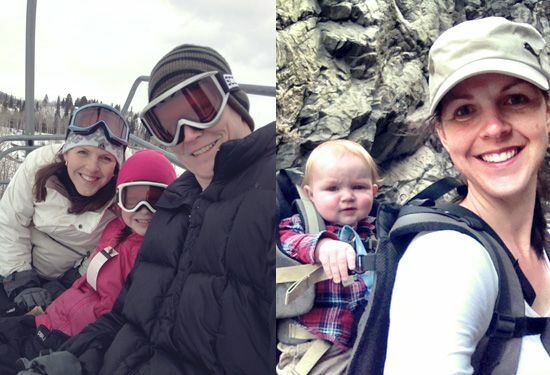 We have had to tweak our methods along the way as we had Baby Boy and as my kids have grown. We are constantly weighing the pros and cons of my job. The quality of my parenting always weighs heavily in the balance. If the time comes that we feel our children are suffering because of what I’m doing, we will change things to meet their needs. And again, you’re interested in being a part of this series, fill out this form here, and we’ll be in touch! I think it’s so cool that some of Sarah’s students take lessons on trade! I have a hard time justifying services like babysitting and getting my hair cut, but having a trade forces you to take some time for yoself! Way to go, Sarah. Have you ever considered teaching a skill from your home? If not, what’s holding you back? I’d call you a wussie, but that’s mean and it’s not very effective across the Interwebs. I salute work-at-home moms. My wife teaches english classes online via skype so I can relate to this post. I remember when my wife started on her online teaching career, it was hard for us to find some quality time. Glad that we managed to squeeze in some quality time despite her busy schedule. English classes via Skype? That’s awesome. What a clever way to use the technology. Baking is an awesome skill to have. Or in my situation, it’s a great skill for your spouse to have. Joanna uses baking as a stress reliever. And while we haven’t found a way to monetize it (yet), it’s definitely a worthwhile skill to have. 3. baking workshops for kids (themed to the holidays), Hold them on weekends, or on teacher professional development (PD) days if they have those in your area. Kids one day workshops on those PD days run about $50 in our area (they bring their own lunch). You could do half day workshops morning and afternoon if that’s all the time you can fill, but that wouldn’t work as well for working parents. Short workshops on weekends should work and you could do several sessions in one day. We have an artist in our neighbourhood who runs 5 different one day painting workshops for kids on the spring break week. She offers a discount if they sign up for the entire week. $50/day or $220 for the entire week. Two thumbs up for awesome ideas. 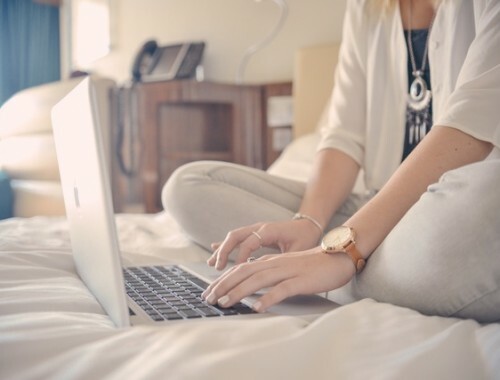 You could always teach people how to build awesome blogs. So there’s that. I could never do this as my musical talent doesn’t extend beyond the ability to play mp3s. But I think it’s a great way for a stay at home parent to bring in extra money. That’s quite the skillset you got there. And while I play guitar here and there, I’m definitely more skilled at the finger-to-play-button move on my iTunes. What a great idea! I definitely don’t have the skills to teach anything about music, but my wife does. I think it’s great that even though you’re “staying at home” you’re able to help bring in a bit of money while doing so. Plus, it gives you that freedom that I’m sure you wanted when you decided to stay home. What I loved about this stay-at-home job is that it still involves face-to-face interaction with people, but within the walls of your home. And I loved the bartering skills and services aspect, too. I am amazed at what Joanna does every.single.day. She’s wearing a lot of hats right now and somehow surviving. There’s no question that being a mother is definitely one of the most challenging jobs out there. 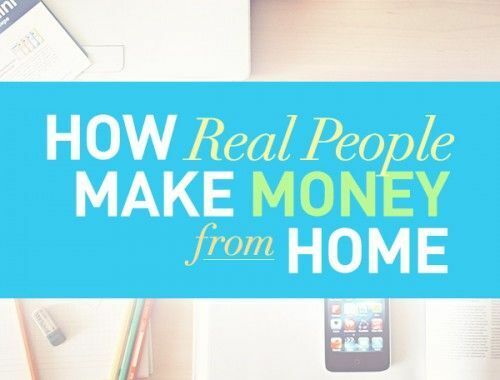 My husband and I have discussed the possibilities of picking up extra income from home. My husband is the marketable member of our pair: he did a stint as a personal trainer and can also do skill-specific football lessons. Since we have no children at this time we have both simply opted to pick up a side job to make a little extra savings. But I think if we had kids it would be so neat to have a stay-at-home job or skill to pass on. And I love what Sarah had to say about her children learning more about her other skills and respecting her for that. What a wonderful gift to pass on to her children! Agreed! I loved that. And since we’re just now embarking in the world of realizing that our little girl is watching every thing we do, it definitely means a lot more now. I want our kids to know the value of hard work and see their mom and dad being examples of that. Which means we need to clean up our act. And congrats on doing side jobs! So great/smart to start stockpiling those savings now. Thanks for sharing this, Joanna. I’m loving this series!!! I have such fond memories of my piano and guitar teachers growing up. They totally worked every weeknight around kids’ schedules and school. Props to them for giving up their nights to instill great skills in so many! You’re right. Now that I think of it, I had an awesome guitar teacher. He really did it for the love of music. I don’t think it’s a side gig or stay-at-home job that you can do if you don’t truly love sharing music with others. Hi, I’ve just read this, about two years late, but it’s a great post. 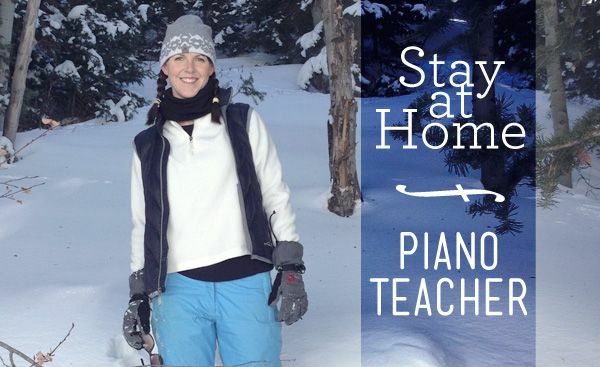 I’m also a piano teacher / stay at home mum here in the UK. My days are very similar with the addition of a couple of days playing at schools. I feel so privileged to be in the position I’m in. It’s not as easy as some may think but I love it.